AFOs have been used for many years to help manage the gait (walking pattern) to reduce unwanted and uncontrolled movements associated with muscle imbalances, weakness or increased tone (tightness) in the lower leg and the foot and ankle. The current training benchmark for adequate entry to practice knowledge for AFOs has been established by the Certified Orthotists. Certified Orthotists are the professional leaders in the treatment of conditions utilizing AFOs. A practice analysis study indicated that 70% of a Certified Orthotist’s clinical time is spent in lower extremity orthotic areas and the majority of that time is spent on treatments with AFOs. These hours DO NOT include the courses for the foundational knowledge required to understand the medical conditions and acquire the biomechanical and anatomical expertise to effectively treat patients with an AFO. Nor do these hours include the practical experience obtained in AFO treatments during the 2 year (3450 hour) residency program following the post-degree P&O programs. AFOs are complex orthoses requiring considerable foundation knowledge and practical training to properly assess the causes of mobility deficiencies for the development of AFO treatments that are appropriate and ensure patient safety. Orthotics Prosthetics Canada is aware of providers that are inadequately trained and rendering AFO treatments. 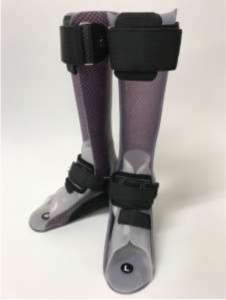 Certified Orthotists CO(c) are seeing AFOs that have been fabricated at the wrong angle, improperly fit causing skin breakdown and incorrect devices causing co- morbidities of the knees and other joints. CO(c)s are also discovering that patients with conditions that could be covered by provincial health care coverage are not being informed of their eligibility and are therefore paying for the devices out of pocket or through private health insurance. Certified Orthotists are the only providers of AFO treatments authorized by provincial governments (except Quebec) and are eligible to submit claims for provincial health care reimbursement. This is due to the recognition of over 50 years of credentialed expertise. 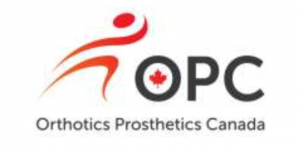 Orthotics Prosthetics Canada (OPC) is the representative national organization for the prosthetic and orthotic profession, including approximately 450 clinicians, 150 technicians plus students, interns, residents, and retired members. OPC’s role is to protect the public and advance the profession through quality standards of practice, professional credentialing, continued education, advocacy, and regulation. Certified Orthotists are a self-regulated profession. Certified Orthotists are bound to ethical conduct and accountable to an arm’s length Professional Practice Sub-Committee.